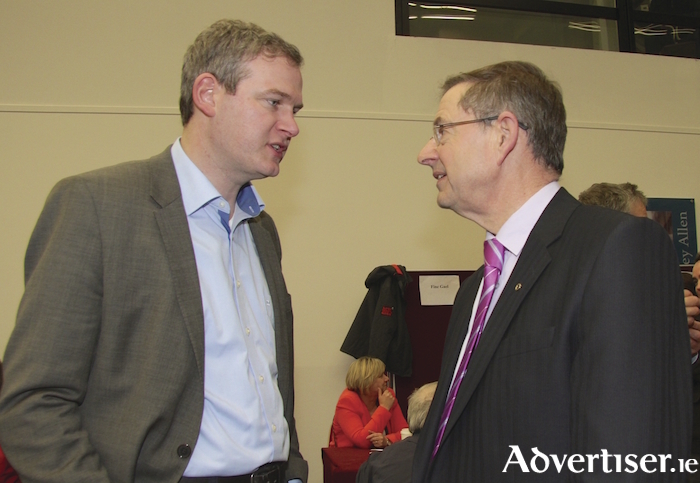 Advertiser.ie - Countdown to election - who stands to win in Galway West? Countdown to election - who stands to win in Galway West? By late Tuesday morning there was little point in political anoraks hashtagging their Tweets with #GE17 anymore - unless they were tweeting along the lines of 'Well that's #GE17 averted then' - after Frances Fitzgerald resigned as Tánaiste, and spared the State a Christmas General Election. However this latest controversy in the ongoing Garda whistleblower controversy has brought the date of the next general election forward by anything from six to 18 months. It is likely the people will go to the polls sometime between January and March 2018, so it's time to hashtag your next political tweets with #GE18. The Fitzgerald controversy was of such seriousness that Fine Gael in Galway West held a hastily arranged selection convention, which affirmed Junior Minister Seán Kyne and Dep Hildegarde Naughton as its candidates. It also encouraged Labour to bring its convention forward - it takes place tonight (Thursday ) and will see city councillor Niall McNelis nominated to stand for election. Other candidates for GE18 in Galway West are Independent city councillor Mike Cubbard; People Before Profit's Joe Loughnane; Soc Dem's Niall Ó Tuathail; and the Green's Pauline O'Reilly. Fianna Fáil's Dep Éamon Ó Cuív, Independent TDs Catherine Connolly and Noel Grealish, Sinn Féin's Senator Trevor Ó Clochartaigh will all run again. Solidarity is expected to run a candidate, with Conor Burke the most likely to be selected to stand. Fianna Fáil can be expected to run another one or two candidates alongside Dep Ó Cuív, though whether it will be either or both Cllr Peter Keane and John Connolly remains to be seen. There is also a possibility FG HQ may add a third candidate to the party's GW tickets well. It can be safely assumed that a number of small scale Independents will enter the race as well before polling day. As it stands, the GW ballot paper could have some +/-15 candidates (20 ran in 2016, 17 in 2011 ) at the 2018 election, all competing for five seats. Dep Ó Cuív enjoys the safest seat in the State and will be returned to the Dáil - he has topped the poll, and been first elected in Galway West, in every election since 2002. As a result, the remaining candidates are competing for four seats. Previously, Dep Ó Cuív's dominance in Connemara, coupled with its smaller population than the city, led to the view that the region could only ever return one TD. In 2011 Dep Kyne broke that rule by winning a seat and solidified his position in 2016 with his re-election. Now firmly established and enjoying his position as a junior minister, Dep Kyne is also looking like a safe bet for a third term in the Dáil. This means the remaining 12 or more candidate are really scrapping for three seats. Despite fielding an excellent candidate in Cllr McNelis, Labour have little hope of regaining a seat. The party has dropped to between three and six per cent in recent polls, down from its 6.6 per cent tally in the 2016 election. In Galway West in that election the party took 5.01 per cent. Any improvement on these figures is the best the party can hope for as any comeback will take a number of election cycles to achieve. Despite an overall drop in support for Independents, TDs Connolly and Grealish seem placed to hold on and cannot be written out of contention (despite much wishful thinking and self-delusion on this question from certain quarters ). Cllr Cubbard is looking long term at a Dáil seat and will be keen to build on and expand his support. SF is likely to struggle in GW with Connemara based Sen Ó Clochartaigh squeezed by the neighbouring big beasts of Ó Cuív and Kyne, and to his Left by Dep Connolly who would also command a Gaeltacht and Republican vote. Fianna Fáil, whether it runs two or three candidates, can expect to still only return one given the utter dominance of Dep Ó Cuív, effectively relegating his running mates to the status of sweepers. Indeed Fianna Fáil was both envious and jealous of FG in Galway West for taking two seats in 2016 despite getting a marginally lower overall vote. Dep Naughton [pictured above during her 2016 campain] was seen as being the most vulnerable to losing her seat, but that view is changing somewhat. Her return is by no means certain, but if FG can operate the same kind of disciplined vote management it did in 2016, she will be in with a fighting chance. Recent polls show the party close to two quotas, so it is possible, but as ever, nothing can be taken for granted.